—Michel Nuschan, owner and founder of Dressing Room, his homegrown restaurant in Westport, CT and CEO and president of Wholesome Wave Foundation. —David Grotto, RD, LDN, author of 101 Foods That Could Save Your Life! Winner of 2011 International Gourmand Award: Best Nutrition and Health Cookbook in USA. NEW! Remember the aroma that wafted through the house as your mother prepared a homemade meal? The American Diabetes Association Diabetes Comfort Food Cookbook makes that more than a mere memory. 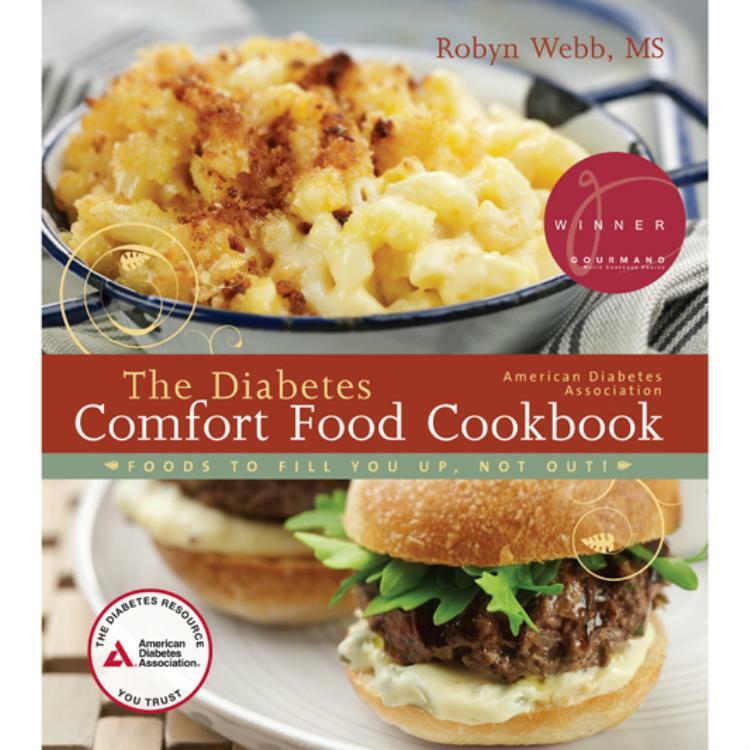 Sprinkled with helpful tips and time-saving advice, Diabetes Comfort Food Cookbook not only make classic comfort foods healthier and diabetes friendly, it makes them a snap to prepare. I love this cookbook. I've given away so many other cookbooks because of it. The recipes are straight-forward and delicious. The ingredients are easy to find. What I am happiest about is that most of the desserts use natural sweeteners, which I prefer to the utmost. I think this cookbook is a classic cookbook, the (Joy of) Comfort Food Cookbook. I think Robyn Webb, MS, hit the jackpot on this one. Simple recipes, normal ingredients. Great recipes. I am very happy with this cookbook.